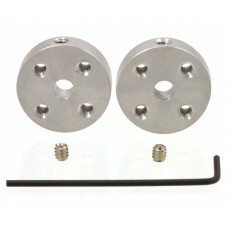 These universal aluminum mounting hubs allow you to mount custom wheels and mechanisms to 4 mm diameter motor shafts. The set includes two hubs, two M3 set screws for securing the hubs to motor shafts, and one 1.5 mm Allen wrench for use with the set screws. 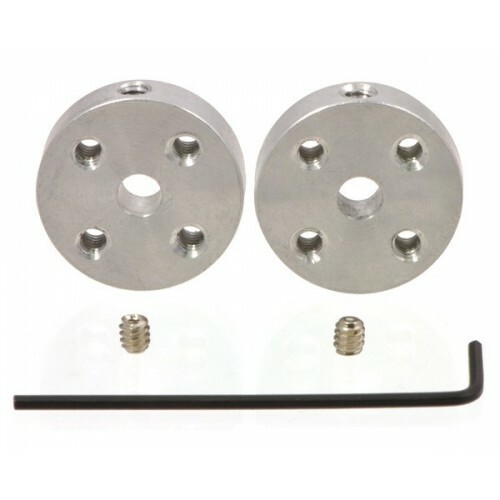 These universal mounting hubs are designed to work with most 4mm diameter shafts, including round shafts, and “D” shafts. 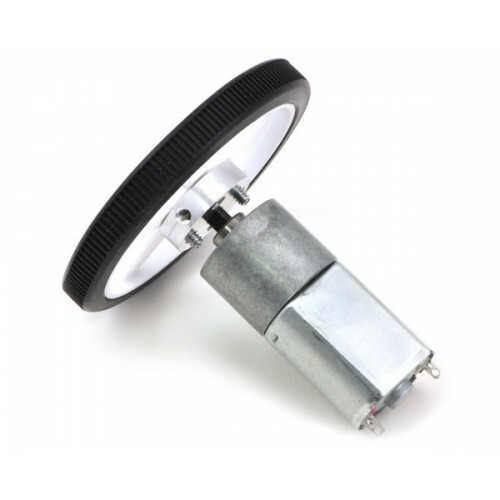 Each of the two included hubs has four mounting holes for M3 screws (not included), letting you mount custom wheels or mechanisms to your motors. 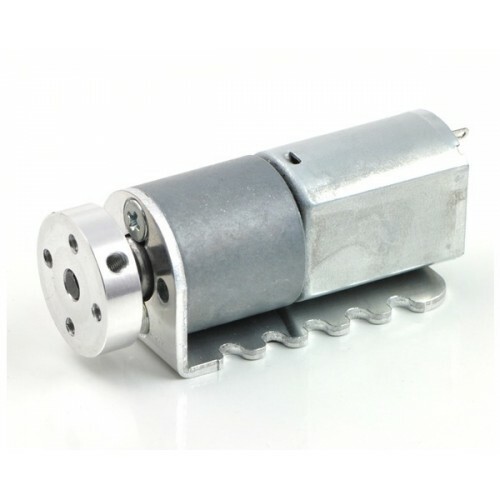 The two included M3 hex set screws (one for each hub) allow secure coupling of shaft to hub, and a 1.5 mm hex wrench is included for use with the set screws. A dimension diagram of the hub is available under the resources tab. 1. 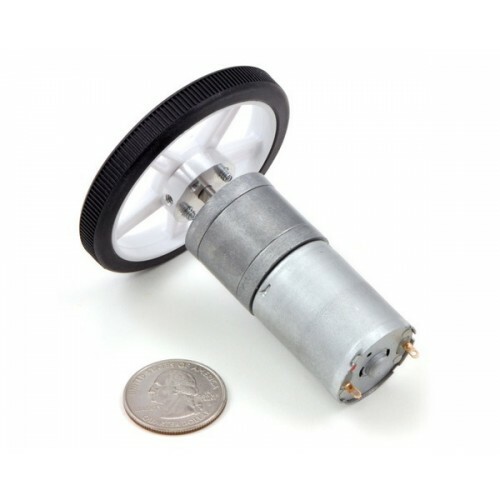 For a single hub only (without set screw). 2. This is also the size of the set screw.